A comprehensive Web-use security solution that will increase your new and recurring revenue streams and deliver high-value customer satisfaction. Quick and easy setup for ConnectWise Manage and CyBlock integration use. One click between ConnectWise Manage and the CyBlock Cloud MSP Partner Portal. CyBlock Cloud will automatically populate new information into the ConnectWise Manage interface. 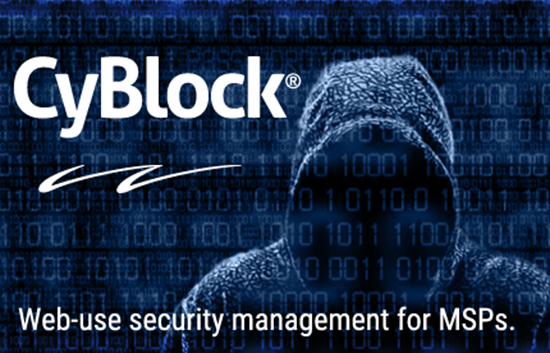 Track and manage CyBlock Cloud licenses, renewals, and more within your ConnectWise environment. Easily take advantage of ConnectWise Manage service tickets and billing benefits with the CyBlock information at your fingertips. Time-saving, efficient integration allowing for increased new and recurring revenue, customer satisfaction, and time to focus on mission-critical issues.